Pin me! www.carolynsbloomingcreations.com Media: Sharpie marker, Sakura Gelly Roll pens, BIC pencil on paper. 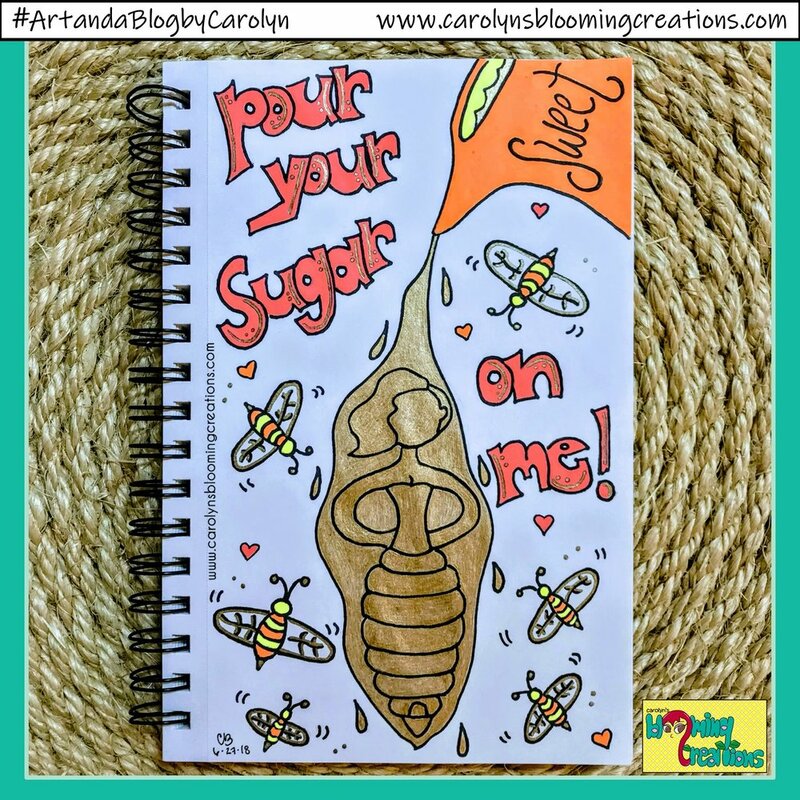 Pour Your Sugar On Me: Let's Talk Good News! There is plenty of not so great news buzzing about in the world everyday. Today, I want to talk GOOD NEWS. Take a minute, tune out the world, and think of at least one good thing that happened to you today. No matter what kind of day you think you had ("bad" or "good"), I bet you had one thing go well for you. It can be something as simple as you put your shoes on the right feet the first try. Seriously! I know how some days can be! When you think of it, keep thinking about it. It'll make you feel good. Come on, try it. You know you want to. Sending love and light to all who need it!